← It’s a load of old rubbish – but is it? A Crewkerne Recycling article I wrote for the Western Gazette in 2009. So off to a good start. But it was at least an hour until lunch and we needed to get out of the house. At the entrance was a notice advising the tree climbing and archery had been cancelled due to the weather. Shame, that would have been a huge bonus, but undeterred we continued and decided to do the ‘treasure hunt’. After 10 minutes of trying to find the sundial and with the drizzle turning into something slightly wetter, even I was ready to head home, but in our search for clue two, we came across a tree. Not just any old tree, but a tree for climbing; with long fat branches sticking out and a huge trunk, it was begging to be climbed. There was also a rope swing attached that occupied my younger son. However, my fingers were turning white and I was losing the sensation in my toes, so before we set off for the next clue, we decided to visit the restaurant for a hot drink. But it was by now 12.30 and steaming hot baked potatoes were being served. I certainly hadn’t planned to stay for lunch, but it was just too tempting! Fortified with hot food and drinks, we set off again. It was then that we discovered one of the children’s activities that had been organised: mountain boarding. To the uninitiated this is like a skateboard but much bigger and it is intended for very rough terrain. My eldest son was there like a shot, leaving me and his younger brother to watch; which we dutifully did for 15 minutes! But then the two of us went off in search of the next clue. That’s when we made our discovery. Now I’ve been to Montacute House many times, enjoyed their children’s activity days; the Tudor themed days; farmer’s market days and so on, but I had no idea there was so much more to enjoy in the parkland that surrounds the more formal gardens. We saw the ruins of the dairy, where they now keep a small number of bee hives, a stretch of grassland that takes you up to a bench that has dozens of names carved into the surface. But the real surprise was the ruined remains of the water mill that is hidden amongst a beautiful meadow and woodland. On a sunny day, you could probably go paddling but certainly a splash in your wellies . The water still cascades down the steps and along the stream, it runs under a little bridge and on into the meadow. I could go on, but I don’t want to ruin the surprise! So rain or shine, you really need to go on a ‘treasure hunt’ and see just what you can discover at Montacute House! 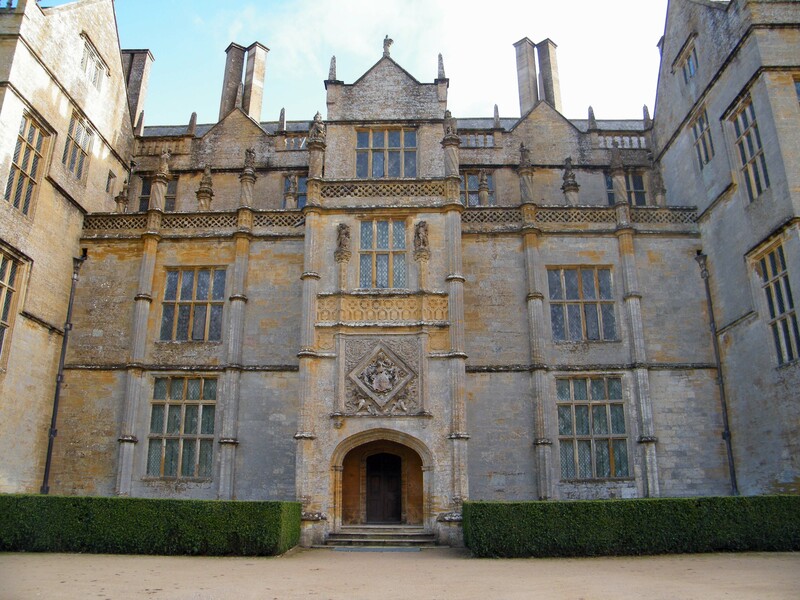 This entry was posted in Family Days Out and tagged activity, children, Montacute House, treasure hunt, Yeovil. Bookmark the permalink.